6 stalks of Champagne Roses with 6 stalks of Pink Gerberas, White sweet William and Red Hypericum. 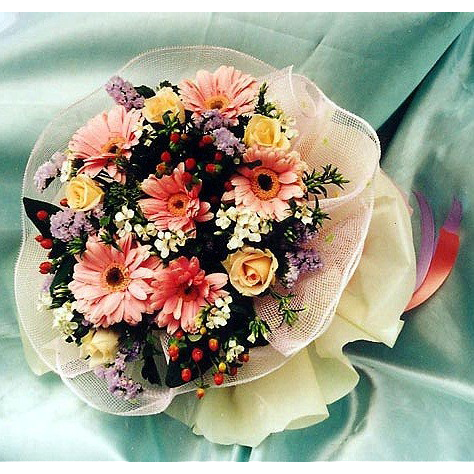 Decked in pink, champagne and purple, this romantic bouquet is a suitable present for your beautiful special one. 6 stalks of Champagne Roses with 6 stalks of Pink Gerberas, White sweet William and Red Hypericum.